Exhibits within the RCA Pavilion dramatized the use of television in the home, and documented RCA’s experimental breakthroughs. 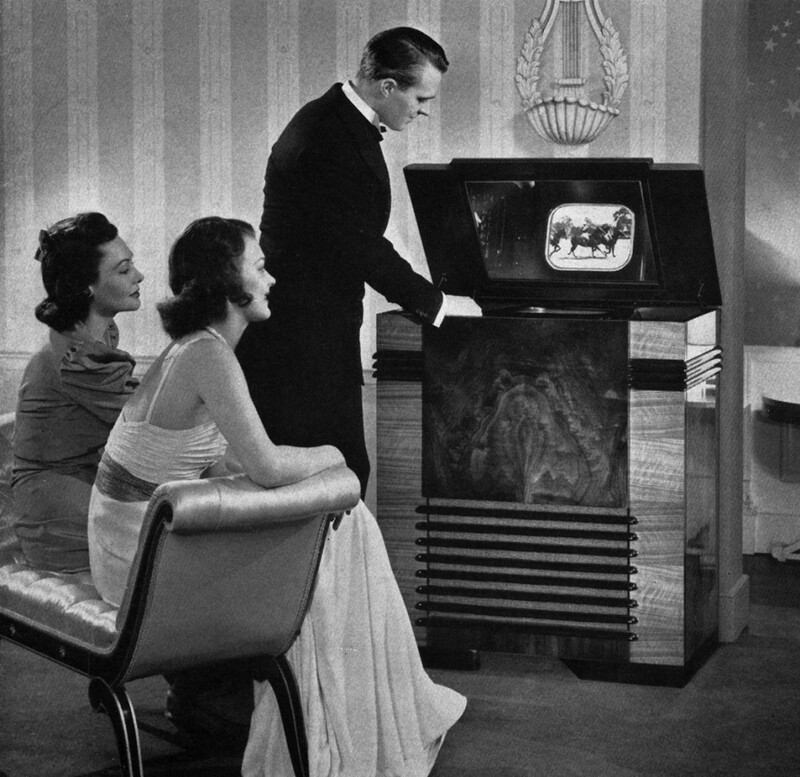 The ‘Radio Living Room of Tomorrow” was created by Turkish-American industrial designer John Vassos. It was outfitted with contemporary built-ins such as a combination radio/television/record player/record recording set, a facsimile receiver and a sound motion picture projector. To illustrate how television could be integrated into existing décor, Vassos designed a “Radio Living Room of Today”. This display featured period furniture complemented by separate cabinets that contained the same electronic components as the futuristic exhibit. The RCA “Television Laboratory” exhibit featured a display of Vladimir Zworykin’s experimental television camera tubes (Iconoscopes) and picture tubes (Kinescopes).